Indulge yourself and fill out a few lines and set up an account with us. Immediately upon your registration, we will prepare a customer card for you, which is going to be your ticket to the loyalty program. 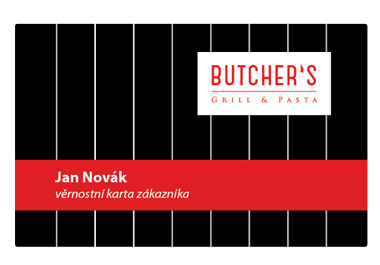 As the only restaurant in the Czech Republic, we offer a service that allows you to view your spending history and check your discounts. You can also get gift vouchers for your loved ones. In addition to the variety of interesting information, organized events and lunch menus, you also have the option to order the table you like the best online.